A recent installment of Pete Wells’ regular Cooking With Dexter column in the NYT magazine offers one of my all-time favorite chocolate cake recipes, one I’ve been making since I was about seven. 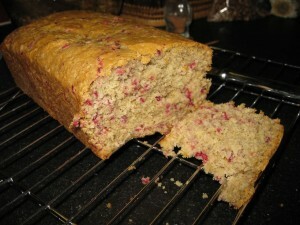 Our family called it crazy cake and we found the recipe in Peg Bracken’s wry I Hate to Cook Book. More recently, I’ve seen the recipe in one of the Moosewood cookbooks ; Pete Wells found it in Vegan Cupcakes Take Over the World, by Isa Chandra Moskowitz and Terry Hope Romero. Wells is baking vegan, aided by his “unlikely allies,” because of his son’s food allergies; we are baking (occasionally) vegan because of my teenage niece’s dietary preferences. No matter how or why you get there, and even if you aren’t a vegan or vegetarian, Moskowitz & Romero’s books are worth checking out. The women are good and funny writers–which matters to me, even in a cookbook; they are your companions through a recipe, after all, and you want to enjoy their company– and they don’t require any particularly unusual ingredients. They cook with food, and thus the recipes produce delicious things to eat. I’m posting this recipe straight and unadulterated (rare for me) from Veganomicon, Moskowitz and Romero’s most recent cookbook. I put the vegan in parentheses up there so that people might find this in their searches for vegan recipes, although if baking vegan troubles you, just ignore that part. Preheat the oven to 325. Lightly grease a 9×5″ loaf pan. In a large mixing bowl, combine the milk, oj, canola oil, sugar and vanilla. Sift in the dry ingredients and mix until just smooth. The batter’s pretty thick, but don’t be alarmed. Fold in the orange zest, cranberries and nuts. Spoon the batter into the prepared pan and bake for about an hour. Let the bread cool for 15 minutes or so before turning it out onto a cooling rack.